There have been shockingly few tech IPOs this year. Shopify, Etsy and GoDaddy are among the paltry few that have endured the rigorous public offering process. Looking forward, there are just as few tech companies that have publicly filed for an IPO (save for one of our portco's Pure Storage!). It's no secret that companies are staying private longer and are being satisfied by private mega rounds or quasi-IPOs as Andreessen Horowitz pointed out. Some companies are wondering whether it ever makes sense to go public since there are many advantages to staying private. However, there are often many overlooked benefits of going public - let's examine the 5 main ones and also break down the step-by-step process of executing an IPO. Liquidity For Shareholders - An IPO is a wealth creation event for employees and other key stakeholders who have worked hard to build the company. Going public creates a liquid market for the company's shares which provides shareholders with a path to monetization. Incentivize Employees - Equity-based compensation can be used to attract, motivate and retain key employees. Stock options for most start-ups can be a risky proposition especially if the business is unsuccessful or never reaches liquidity. Shares of a public company, though with perhaps less upside opportunity than a private company, can be sold very easily in the stock market. Acquisition Currency - An IPO allows for price discovery of shares. Having a publicly available valuation for a company's stock makes it easier to execute acquisitions. For an acquisition prospect, receiving stock in a public company like Twitter is a much clearer proposition than receiving shares from a private start-up that may never reach liquidity and whose future valuation may be unclear. Stronger Balance Sheet - Issuing shares on the public market can provide a significant cash injection to the company. Public market investors are much larger than private market investors, so companies can raise a much larger amount than in the private markets (though that gap is shrinking these days), as well as more easily raise additional capital through follow-on offerings. 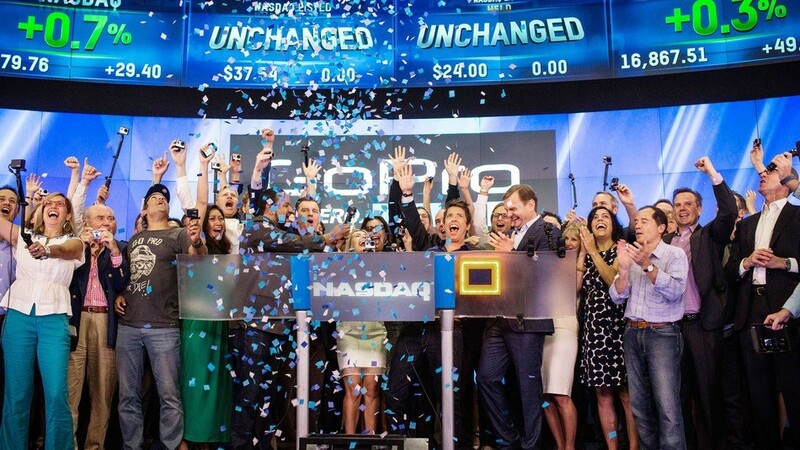 Branding Event - A successful IPO can be a terrific branding event for a company. Going public creates a maelstrom of media coverage and creates more visibility and credibility for the company. The company can leverage this in a number of different ways to help the business. So What Does It Take To Go Public? So a company finally decides it's time to make the switch from private to public - what happens then? Going public is a fairly arduous process. 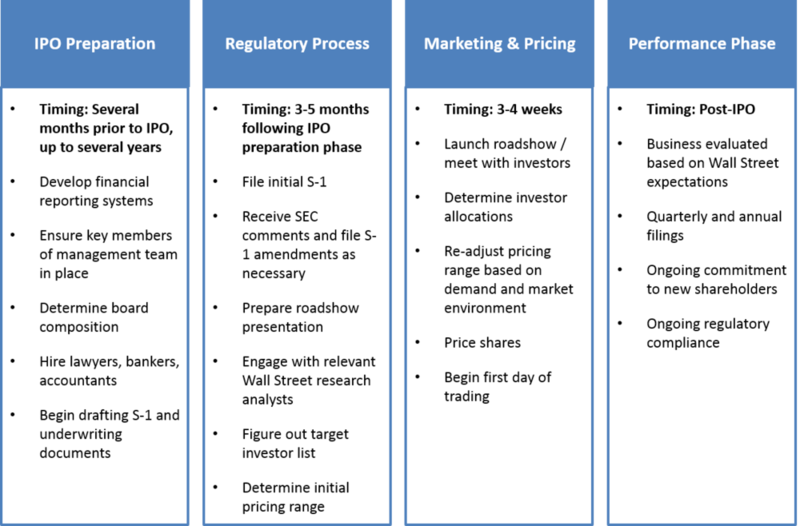 Below is a condensed overview of the four key phases on the path to becoming a public entity. There are significant disadvantages to being publicly traded: the cost and burden of having to comply with SEC rules, competitors having full transparency into financial results and strategy, and that public companies run the risk of being bound to the quarterly "score card". Still, going public can be extremely beneficial if done the right way. Spencer Rascoff from Zillow has blogged about this extensively, highlighting some of the under-appreciated benefits of being public and utilizing a dual class share structure when going public. So what do the readers think, is going public worth the pain or not?